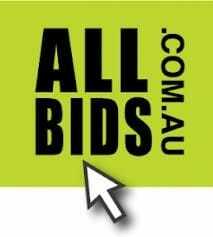 Canberra’s online auction specialists, ALLBIDS, are auctioning some truly unique money-cant-buy experiences in support of the Brumbies’ upcoming State of the Union charity lunch which is being held this coming Friday, 30 May, to raise money for grassroots rugby in the ACT. “There are few prizes more unique than a movie night with Brumbies’ prop Ben Alexander – and in his own home no less!” said Rob Evans of ALLBIDS. “Bidders may also be lucky enough to score a VIP lunch or dinner with Brumbies and Wallabies David Pocock and Matt Toomua, or enjoy a kicking masterclass with Christian Lealiifano and Jesse Mogg,” Rob continued. The auction, which is currently live at www.allbids.com.au, is all about raising much needed funds for grassroots rugby in Canberra, and is great support for the Brumbies State of the Union charity lunch, where Rob will also be auctioning more awesome experiences in person. “We have many money-can’t-buy and VIP experiences up for grabs via our auction, and we really encourage people to jump online and check them out. “Imagine your kid’s face if they had a guest appearance from Brumbies Henry Speight at their party or training session. Or you and seven friends enjoying a chef cooked meal with Leon Power and Clyde Rathbone. For Brumbies fans it just doesn’t get any better,” Rob continued. “People can jump online, pick their must-have prize and bid for these fabulous experiences,” said Rob. “Grassroots rugby is such a worthy cause and ALLBIDS is proud to be supporting these kinds of local charities and community groups. We are also proud to be associated with the Brumbies and look forward to strengthening our corporate relationships at the lunch on Friday,” concluded Rob.